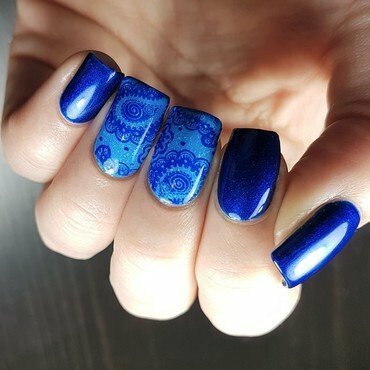 I used Eurso Euro to do the paisleys with MoYou London's Flower Power 16 stamping plate. The dark blue nails were done with a Dutch brand: HEMA. It is a nameless color I bought years ago.